Hard to read transcript – This is the fullest account of the transcript that has so far been published. The source told the US News network, CNN, that the transcript made it clear that the killing was premeditated and suggests several phone calls were made to give briefings on the progress. 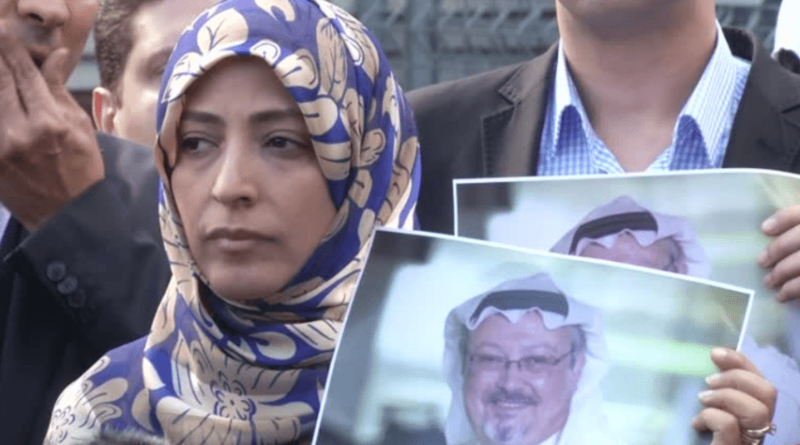 The transcript of the gruesome recording includes descriptions of Khashoggi struggling for his life against his killers, Saying ‘I can’t breathe’……….. ‘I can’t breathe’ ………. ‘I can’t Breathe’ as life was slowly and painfully taken from his body. Followed by the gruesome sounds of the journalist’s body “being dismembered by a saw.” The killers are advised to listen to music to drown out the sounds of the saw cutting through bones. The original transcript was prepared by Turkish intelligence services, and CNN said its source read a translated version and was briefed into the journalist’s death. Turkish officials have also stated that they believe those calls were made to top officials in Riyadh. President Erdogan has repeatedly called on Saudi Arabia to hand over suspects in the killing. According to Turkey, a 15-member Saudi team was sent to Istanbul to kill Khashoggi. For his part US President Donald Trump has refrained from blaming Saudi Crown Prince Mohammed Bin Salman, even though the CIA report which concluded that he ordered the assassination.